Our flat bed towing services are here to protect your investment. 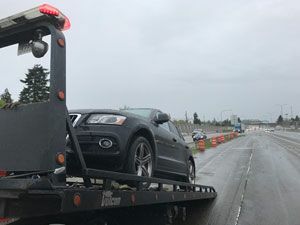 At Seattle Towing Company, we pride ourselves on our professional and affordable towing services which include flat bed towing. Let us know your towing needs and we will plan the best possible solution. Our friendly and courteous dispatchers are looking forward to getting you back on the road or your vehicle to its destination in no time. We strive to provide a fast, hassle-free flat bed towing service to our clients. 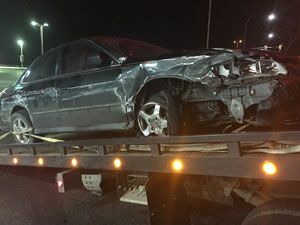 We are a licensed, insured and bonded company providing prompt, affordable towing services to our clients. From cars, SUVs to trucks and trailers, we offer our affordable towing services for a variety of vehicles. Whether you have been in a collision or your vehicle just stopped working, call us. Since 2005 we have been helping our clients with professional, affordable towing services. We have the experience and expertise to handle any towing job, big or small. No matter the reason you need help with towing your vehicle, you can count on us for your affordable towing needs. When your vehicle breaks down on the roadside, it can cause a lot of frustration. Fortunately, our discount towing services are here to rescue you. If you find yourself stranded in the middle of nowhere, take a deep breath and call our discount towing services. You can rest assured we never sacrifice on quality. Our goal is to provide quality towing services at affordable services. What’s more? We are available to provide fast, discount towing services, 24 hours a day, seven days a week. Call us anytime, day or night, and we will be there to help! We handle your vehicle safely and will transport it to your home or local mechanic of your choice. 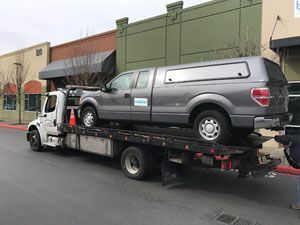 If you need discount towing services, feel free to call Seattle Towing Company at (206) 399-0366.